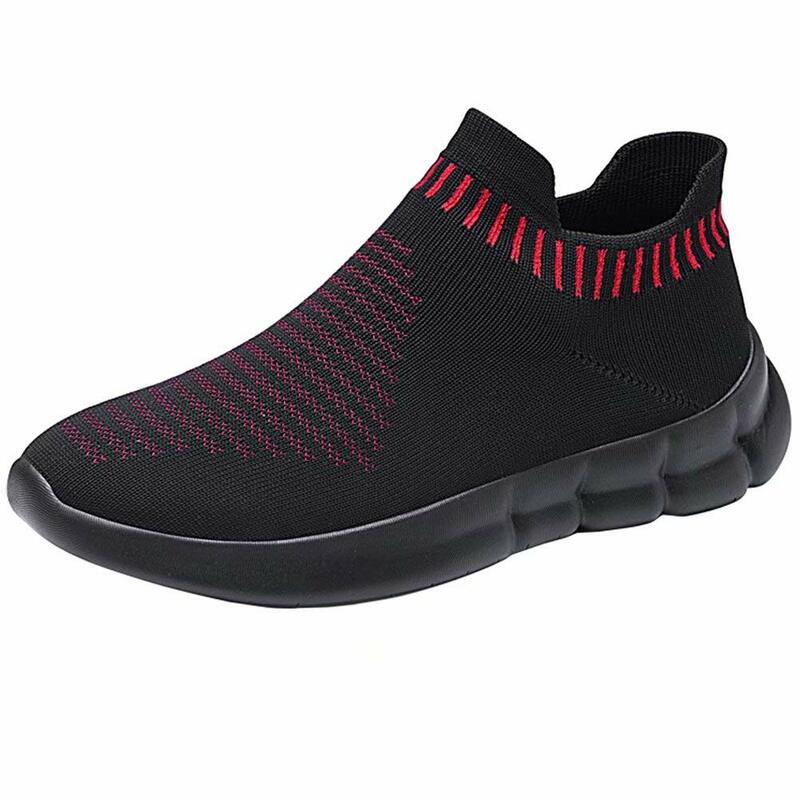 Comfortable and Breathable Knit Vamp Durable mesh upper allows for air to travel through the shoes when walking or running , it keep your feet cool for your sports. Exceptional Shock-absorbing Cushioning The bottom rubber outsole made with high elasticity.EVA MD Sole provides excellent traction and stability for all surfaces and terrains, slip resistant and more flexible. Traditional Lace-up Closure Classic high-top sneaker featuring four-eyelet lace up closure, will be comfortable even after hours of use. Perfect Choice to Pair with any Sport or Casual Assemble Suitable for walking, running, tennis, gym, indoor, outdoor, travel, workout and any occasion. Good choice for spring, summer, autumn and winter.